Arlington, VA— Decision Lens, a leading provider of decision making software solutions, announced today that GSA has selected the Decision Lens platform for IT decision-making, including IT capital planning and portfolio management. GSA serves as a centralized procurement and property management agency for the federal government. Among GSA's many responsibilities, the organization provides the federal government with expert technology solutions, manages USA.gov, the official portal to federal government information and services, as well as e-travel among other IT initiatives. As such, the investment in and application of information technology is a critical capability of GSA. They purchased Decision Lens to use within all the GSA Chief Information Officer (CIO) and IT organizations to increase the efficiency and effectiveness of decisions. The GSA CIOs will use the Decision Lens solution for IT decision-making ranging from IT investment management to best-value source selection to functional and technical requirements prioritization. GSA is depending on Decision Lens to improve the process and reduce the time required to make critical IT decisions. 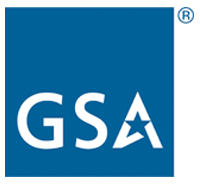 "We are proud to be able to support GSA and their mission with the Decision Lens Suite. GSA is yet another example in the Federal Government of the move towards improved decision making, performance, and efficiency. By selecting Decision Lens, they are well on their way towards a faster decision process that provides more clarity and depth" said John Saaty, chief executive officer of Decision Lens.